The main thing here is creating a 'fingerprint' of each performance .Then it's just a matter of pattern-matching - Shazam searches its library for the code it created from your clip; when it finds that bit, it knows it's found your song Shazam stores a catalogue of audio fingerprints in a database. The company has a library of more than 11 million songs, and it has devised a technique to break down each track into a simple numeric signature—a code that is unique to each track. Then when you send a recording to their library, Shazam quickly recognizes the digital signature, and presto, an answer is returned ,otherwise it returns a "song not known" dialogue. How a fingerprint is made? To make an audio fingerprint, an audio file is converted into a spectrogram where the y-axis represents frequency, the x-axis represents time and the density of the shading represents amplitude. 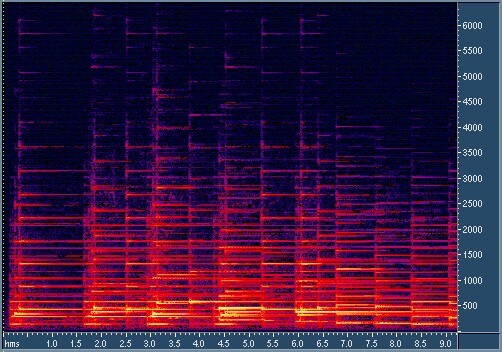 For each section of an audio file, the strongest peaks are chosen and the spectrogram is reduced to a scatter plot. At this point, amplitude is no longer necessary. To overcome the challenge that the user recording can begin at any point of song, through a process called combinatorial hashing, points on scatter plot are chosen to be anchors that are linked to other points on the plot that occur after the anchor point during a window of time and frequency known as a target zone. 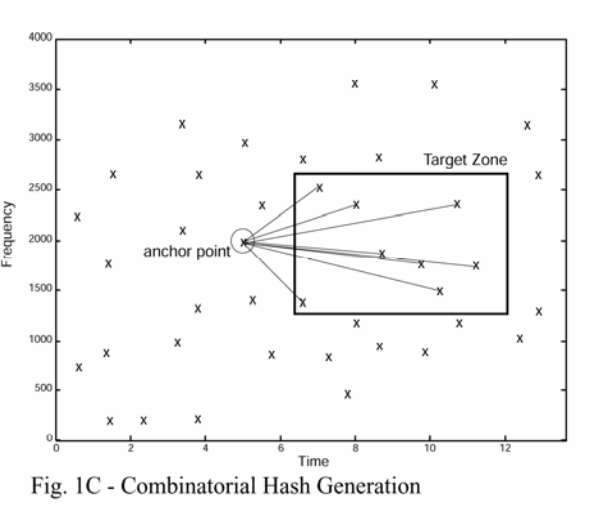 Each anchor-point pair is stored in a database containing the frequency of the anchor, the frequency of the point, and the time between the anchor and the point known as a hash. At the time of matching, each of anchor point pairs of user’s recording are sent to Shazam’s database to look for matching anchor-point pairs.Once we have all of the possible matches for the Shazam user’s recording, we need to find the time offset between the beginning of the Shazam user’s recording and the beginning of one of these possible matches from the database. This offset in timing can be calculated by subtracting the time of the anchor-point pair’s occurrence in the Shazam user’s recording from the matching hash’s time of occurrence in the audio file from Shazam’s database. If a significant amount of matching hashes have the same time offset, that song is determined to be a match! 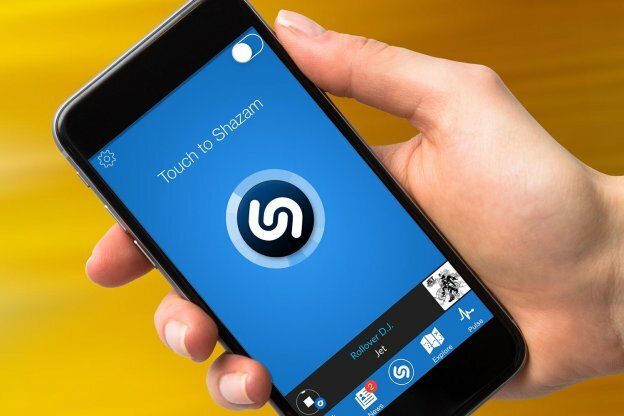 Shazam can identify pre recorded music being broadcast from any source, such as a radio, television, cinema or music in a club, provided that the background noise level is not high enough to prevent an acoustic fingerprint being taken, and that the song is present in the software's database. The lo-fi nature of sounds played over a mobile phone means that this analysis has to be resilient to extraneous noise, distortion, chat and general degradation You'd think that ignoring nearly all of the information in a song would lead to inaccurate matches, but Shazam's fingerprinting technique is remarkably immune to disturbances—it can match songs in noisy environments over bad cell connections. When does Shazam Not Work? Shazam can only identify recorded music which is in database. If you were to hum the same song to Shazam, it wont be able to recognize because acoustic fingerprint would be different, it is highly dependent on timing between anchor point pairs. Shazam offers two types of applications: a free app simply called Shazam, and a paid app called Shazam Encore. Over the years, Shazam became the go - to service for people who want to discover the author of a song they liked but also for artists to connect with their fans. Their track pages and artist page complete their strategy to build a strong relationship with their followers. Not to mention that Shazam inspire users with other content that match their preferences. Can Shazam Recognize Indian Music? After testing waters with Airtel in January, mobile based music Recognition app Shazam is now working with the Indian online music streaming site Saavn.com to allow users identify and discover music across regional languages like Hindi, Punjabi, Tamil, Telugu, Gujarati, Marathi, Bengali, Kannada, and Bhojpuri and genres like Bhangra, Devotional, Ghazals, Carnatic and Indipop among others. Its success is testament to the idea’s cleverness and investors’ patience The technology behind Shazam remains ingenious: By riding the wave of digital music in the first decade of the 21st century, Shazam ended up having a profound effect on the way music was consumed. More than 12 years later, Shazam is now synonymous with music identification in the way that Google is synonymous with web search, Positive matches generating song titles was a process that blew our tiny minds. Shazamming still feels like a luxury bestowed upon us by the technological gods.